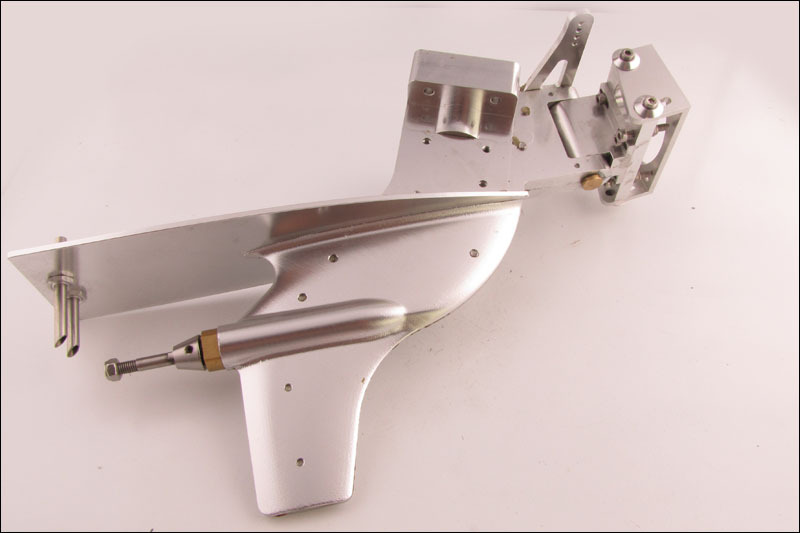 Machine billet aluminum outboard drive. 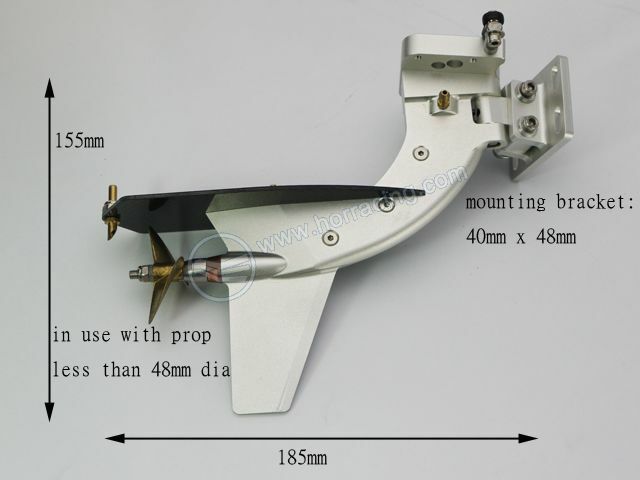 In use with 3/16" or 4.76mm unthreaded propellor with overall dia. less than 48mm. In use with 5mm electric motor shaft. Silver anodized. nuts. It comes with the motor mount plate for standard Zenoah motors and Zen clones. The 3.5 QuickShot Drive can be used with K&B, Rossi, Nova Rossi, OS-21 and others. Any motor that is interchangeable with K&B will fit the standard motor mount plate, and motors such as the OS-21 that don't match can be adapted with a special plate. The 3.5 drive is also available on request WITHOUT the 4 small water holes in the lower "bullet" . This style is preferred when pressure oiling is installed, otherwise, these holes need to be plugged. Small dimples are provided as a guide, in case the water holes need to be added at a later date. The 3.5 drive weighs less than 5 ounces, complete. The 7.5 FastGun Drive is available for standard K&B and compatible 7.5cc motors, or can be purchased with a mounting plate for larger size (11cc, 13cc) K&B motors. 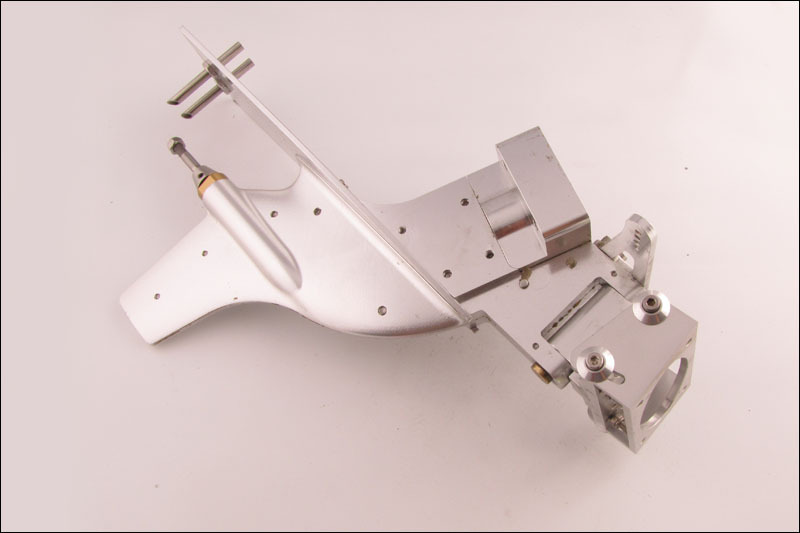 The styling of the drives is "modular", so changes to individual parts can be made, like the motor mount plate and cavitation plate without affecting the basic design. The 7.5 drive weighs less than 8 ounces complete.